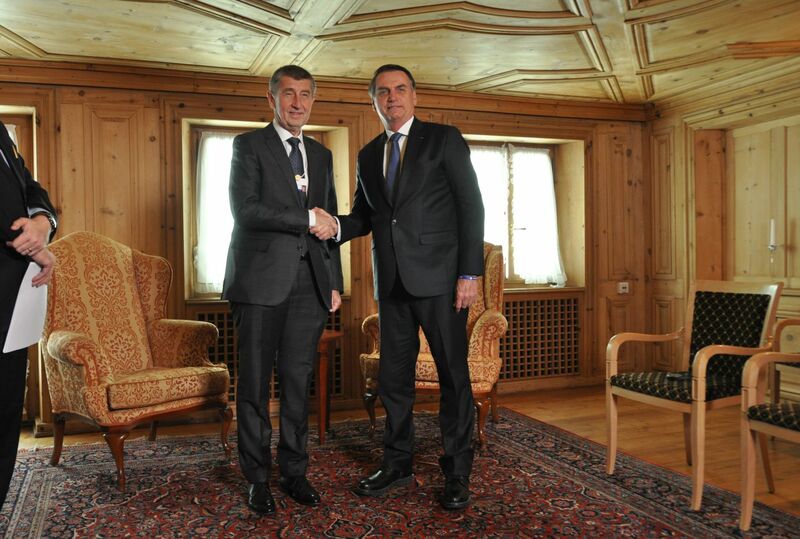 Prime Minister Andrej Babiš is in Davos this week talking to international leaders. On Thursday he met with Brazilian President Jair Bolsonaro and Apple CEO Tim Cook. According the Mr. Babiš there is much potential for Czech companies in what is currently the country’s second largest trading partner in South America. Andrej Babiš and Jair Bolsonaro, photo: ČTK/Stříhavka Jakub The world‘s political and business elites have been rubbing shoulders in Davos this week, as the annual World Economic Forum is underway. Among them is Czech Prime Minister Andrej Babiš, who is trying to use the opportunity to support Czech business interests abroad. On Thursday he met with the freshly inaugurated Brazilian President Jair Bolsonaro and both sides later posted on Twitter that they were eager to strengthen mutual trade relations. According to Mr. Babiš there are considerable business opportunities for Czech companies in Brazil. While highlighting traditional brands such as Baťa and Škoda, the Czech PM also mentioned the increasingly resurgent Czech defence industry. Mr. Babiš said that Brazil is an important partner for the Czech Republic when it comes to the Aeronautical industry. Currently the largest Czech aerospace company Aero Vodochody is working with the Brazilian conglomerate Embraer on a multipurpose military aircraft called KC-390. The Brazilian Ministry of Defence has already ordered 28 planes. 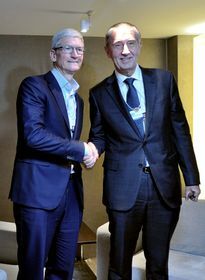 Tim Cook and Andrej Babiš, photo: ČTK/Stříhavka Jakub The two leaders also agreed that possible partnerships in technology and artificial intelligence should be pursued. “We have the most powerful laser in the world, we are preparing an AI super-hub and we also have a technology capable of extracting record amounts of water out of the air“, said Mr. Babiš who has recently also been promoting Czech scientific capabilities in Asia and Africa. A delegation from the Czech Academy of Sciences is set to travel to Brazil in September. The Czech prime minister also met Apple CEO Tim Cook. One of the men who also attended the meeting was Karel Havlíček from the government’s Research and Development Council. 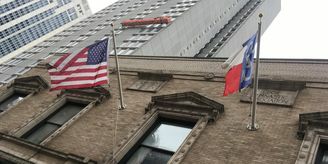 He said after the meeting that Apple representatives were impressed by the country’s innovation strategy. 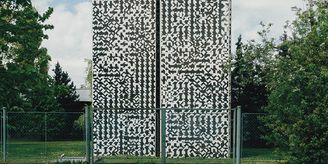 Cook noted that there are about 500 researchers in the republic working on AI and promised the Czech prime minister he would look into opening an Apple store in Prague’s Old Town Square.